MadeInJapan is back With a stage 1 2007 S40 AWD T5M. I think my brain just exploded. Longtime MVS Volvo Forums Moderator MadeInJapan is back with a stage 1 2007 S40 AWD T5M. I think my brain just exploded. 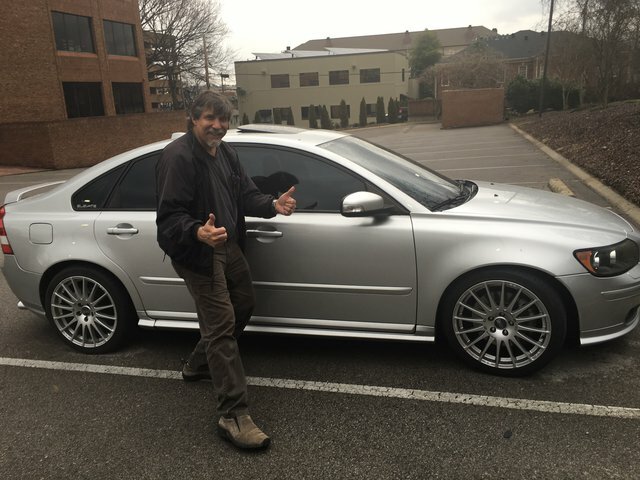 Just bought a ’07 S40 AWD T5 with 6 speed manual transmission. So, I’m back in the Volvo fold again sort-of-speak and will probably be posting again. This is a sweet car- the original owner was military and bought it in Germany and took it to Heico to have tons of upgrades there. The guy I bought it from also did some crazy upgrades through Elevate…it’s at stage 1- hits 320HP from what I understand. So far there are no issues except one of the rear tires seems to bottom out over bad bumps or grades. The guy who sold it to me had just installed new tires (225/40/18) which may need a camber adjustment on the rears (yes, he installed a camber kit too). Anyway, I’m sure I’ll have questions. This car is a delight and in awesome shape at just 67,000 miles! It’s a screamer! !